Get your friend to make sure there is no oil down any of the spark plug tubes. Also a faulty plug can also cause the same symptoms. Precisely my thought, a faulty plug (insulator cracked or carbon tracking). All fixed, thanks to bonno for letting me know about his dramas with the same thing on the JTS and some part swapping pinpointed it. On a drive with the Tridon coil working fine and the CEL still logging the same code it shuddered and dropped most of the power, no new codes but I assume some condition asked of the coil eventually triggered a reaction from the ecu and not having a clear fault circuit went full retard just to be safe. Parking up and clearing that code saw that issue disappear, but having the constant fault I knew either it'd happen again or something else would go wrong and we wouldn't know. Swapping all the plugs, which weren't too bad but sooty and some discoloration on the ceramic, and swapping coil around moved the error to another cylinder, so definitely an issue with that particular Tridon coil. Nor sure if it's the aftermarket design or a bad individual item, will try return and see what they say. So a follow-up to that saga - an unverified error popped up after a day or so (self clearing CEL), cylinder 4 misfire, but apparently no lasting issues. I drove us somewhere the next day and it didn't feel right, irregular idle, delayed throttle response, no further errors but it definitely wasn't running properly. Seeing as there was no damage or leaking around the plugs I concluded that the replaced coil probably just aged out, which meant the other three were likely not far off so veales ordered in some NGK packs to complement the shiny new double platinum plugs. All three together weren't much more expensive than the single OEM but they had to ship over to WA. They arrived today and after 5 minutes installing and a quick test drive it's never been better - completely transformed the smoothness and response, feels much more eager to put down more power through the rev range, I definitely missed driving it during that short blast. 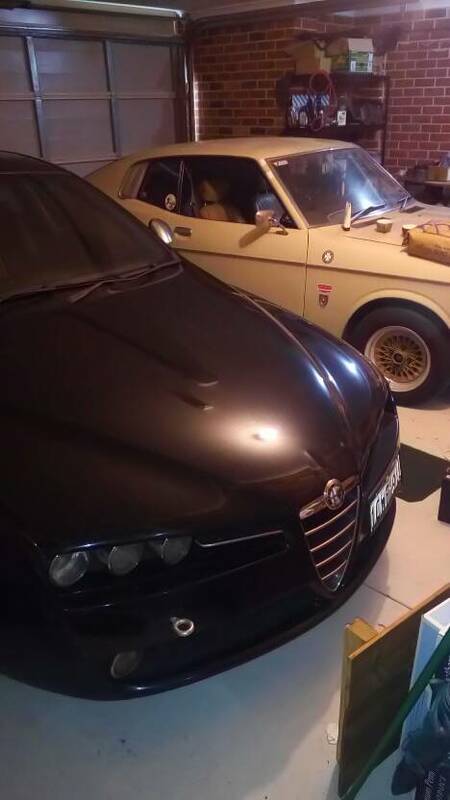 Few things are more satisfying than a well sorted Alfa.